Barrier Group Pty Ltd presents the W-Beam guard fence designed as a heavy duty modular barrier system for various pedestrian and asset protection applications. Suitable for use in industrial and commercial complexes, factories, warehouses as well as car parks, W-Beam guard fences are designed to VicRoads’ requirements for Type D guard fencing, but can be used in non-highway applications in locations where impact speeds are less than 30 km/h. 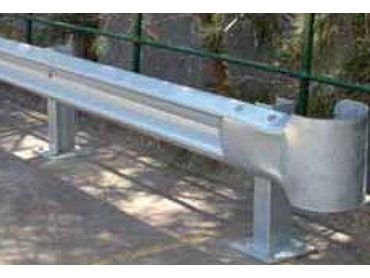 W-Beam guard fences are ideal for asset protection in and around industrial/commercial complexes and car parks, pedestrian separation and protection of pedestrians from slow moving vehicles, as well as pedestrian and asset protection in distribution centres, large factory complexes, large car parks and commercial/industrial precincts.